the audience reading the business plan may have varying levels of education or knowledge of the industry. 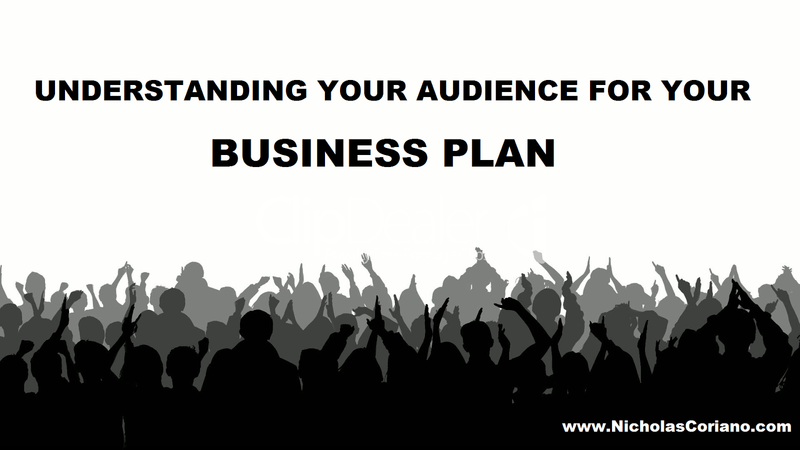 For this and many other reasons you should understand who you are writing the business plan for ...who exactly is your target audience? Banks, credit unions, financial institutions, board of directors, executive personnel, potential employees, employees, external company members, non profit foundations, grant applications, partners, angel investors, venture capital groups, yourself, immigration offices, government offices, business plan competitions, crowdfunding campaigns and seed investors. plan for banks and financial institutions it is important that you have your credit squared away. Please see the 6 C's of credit. specific format that they would like to be followed. Follow this format exactly. Any deviation from this format may lower your chances of getting the business loan from the bank. Remember that many times those working in financial institutions have a strong understanding of Finance and general business. This means that your financial projections will have to be above par and anything less will not be satisfactory in the eyes of a banker. There are circumstances where a business plan is written for company employees. This is generally the case where upper management is looking to provide a roadmap into the future for the company's current employees. When writing a business plan for employees remember that they should already have an understanding of certain business practices. If the company is looking to change directions then this will need to be explained in detail to the employees in the business plan. As employees are already accustomed to operating the business in a certain way, having them understand why the company is changing directions may be important. When writing a business plan for employees there may be certain sections that are not as important as other sections such as market research or the financial projections. Each case varies. Some employees may be resistant to any sort of change in the company so the business plan writer may want to take a persuasive tone throughout the business plan. Generally when developing a business plan for the board of directors of a company you are either looking to tell the board of directors what direction the company is going or looking for their vote. If you are looking for their vote you will need to take a persuasive tone throughout the business plan. Strong market research will be the basis of assumptions so the more in-depth the market research the better. It may be the case that the board of directors is already familiar with the industry or the workings of a certain type of business so these observations may be omitted for the sake of time or presentation. Depending on the length of the meeting with the board of directors, or how you will present the business plan to them, will depend on how long you want the business plan to be. A half-hour boardroom presentation will not allow for 830 page 12 font documented business plan. Similar, when emailing the business plan be sure that it is concise enough for busy Executives or Board Members to review and give their input. what needs to be in the business plan. These guidelines should be followed exactly to increase the chances of approval for the business plan. increasing employment in a certain geography. Whatever the business plan competition is meant for then the business plan should be written aimed at answering or providing a solution to those problems. If the business plan competition is just one of a general nature then it will do you good to write a thorough business plan. In addition anyone applying to a business plan competition should try to research who the judges will be. If background information on the judges can be found, and those entering the business plan competition understand what the judges like and don't like, then this will give those competitors an advantage in the business plan competition. in regards to grant applications. Crowdfunding has taken the World by storm. The process of putting your business idea or business plan on a website and get it funded from participant online can be extremely lucrative. When writing a business plan for a crowdfunding campaign you should keep in mind that the reader will either be in front of the computer or on a mobile phone. This is important because if they open up the business plan on a mobile phone then a long business plan will seem even longer. And even if they open up the business plan on a computer, most people have a short attention span on a computer with several tabs open. Larger fonts should be used and the document should be able to be opened on different web browsers. This will take some testing to make sure that this is possible. Also more of a persuasive tone should be taken since you are trying to sell equity in the company through the business plan on the crowdfunding campaign. Like all business plans, you should have a strong opening and executive summary. 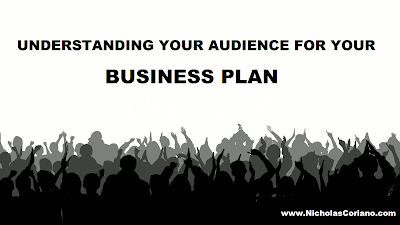 Part of the business plan should be showcased on the crowdfunding website. Be sure to clearly state what kind of equity or partnership interest you are selling in the company within the crowdfunding campaign and the crowdfunding business plan. Also describe in the business plan what happens once the crowdfunding campaign ends. only an idea. When developing a business plan for seed investors or Angel Investors you must be extremely persuasive and the market research must show the potential your idea has. Be careful not to rely solely on the market size and to be too confident in your verbiage. After all you haven't started the business yet and being extremely confident can be a turn-off as in reality you have not proved your business model yet. Make sure to point out the pitfalls and weaknesses of your business and how you plan to tackle them. Also describe if investors will get their money back in one year, five years or 20 years. Describe if you will need additional funding after the seed investment and how you will repay the money. Try to be as specific as possible as to how you will spend the money that will be invested in your company and if there are any gaps within the management that need to be filled. There is no one way to pitch Venture Capital firms. After studying and speaking with hundreds of venture capital firms each of them do business in their own particular way. The good thing is that many of them will give you clear guidelines on what to submit in regards to a business plan. Most of them asked for a short pitch deck or quick executive summary before they get the full business plan. Keep in mind that these investors are of the most sophisticated nature and that your business plan research will need to be in depth and financial projections do not matter as much as how you plan on actually executing sales or use our growth. The websites of most Venture Capital firms have blog posts from partners and this will give you a good indication of what these Partners like to see. Depending on how much money you are raising it will behoove you to tailor the business plan to speak in the tonge of the Venture Capital Partner you are pitching.